The lovely, unique birthstone of October babies, the opal, often makes an appearance in royal jewelry with a dramatic flair. Today's sparkler, the opal tiara that belonged to Princess Marie of Denmark, certainly fits that bill. Calling this piece a tiara feels sort of silly -- it's more of an art piece. The diadem features floral-esque sprays, each with a large oval-shaped opal at its tip. 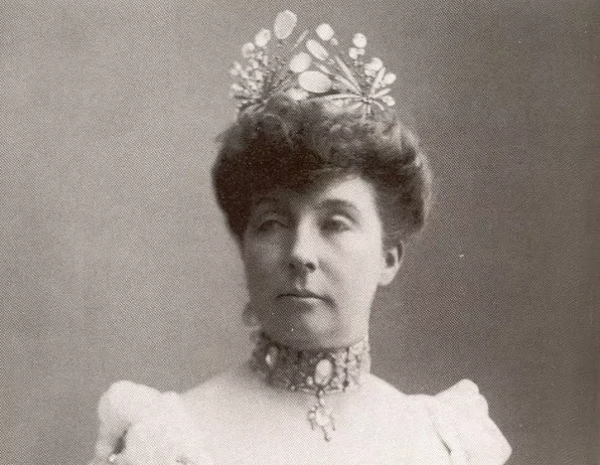 It's a towering, artistic tiara, one very suited to its original owner: Princess Marie of Orleans, the French princess who married Prince Valdemar of Denmark, the youngest child of King Christian IX and Queen Louise. She was an unconventional royal, probably as close to a Bohemian as a princess could ever really be. 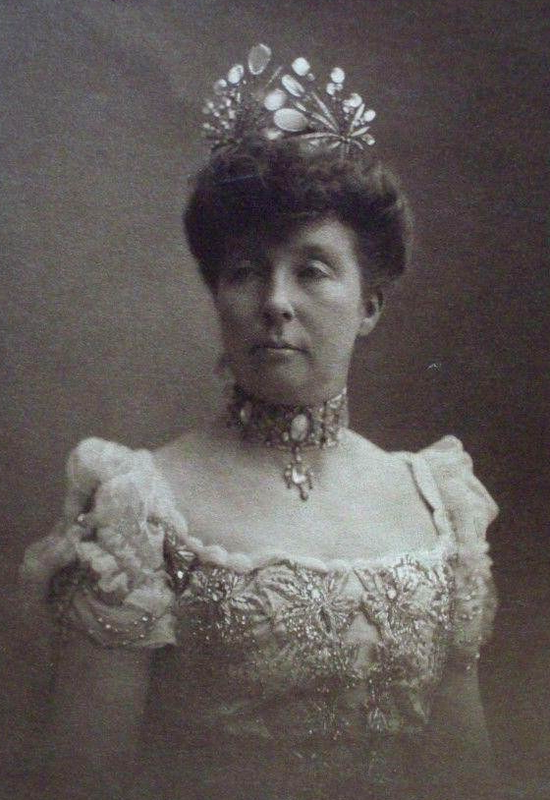 When Marie died, the tiara passed to her fourth son, Prince Viggo. It was later worn by his wife, the American-born Eleanor Green (who was generally known as Princess Viggo). As I said above, the original tiara really was more sculpture than wearable ornament, but I still think it's a shame that the tiara was redesigned during its time with Viggo and Eleanor. The largest opals were repurposed as upright elements on a much simpler diadem. More wearable, certainly -- but definitely less original. 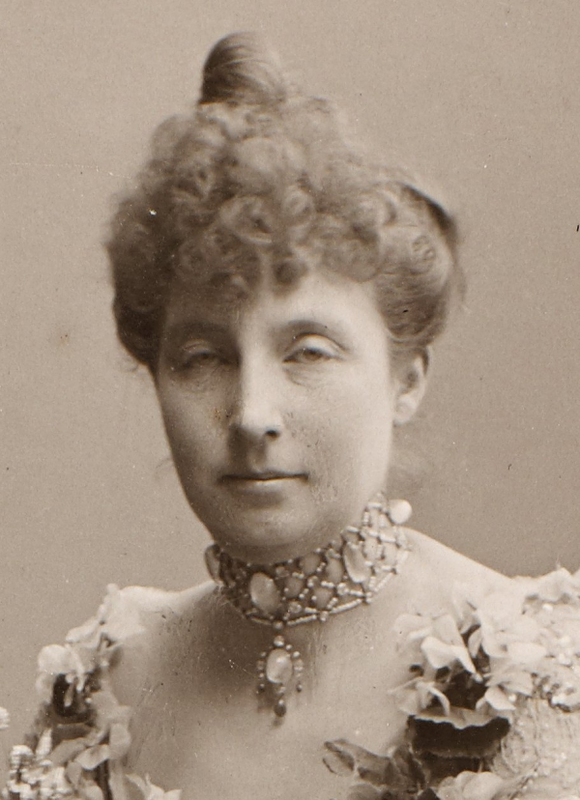 Along with her opal tiara, Princess Marie also often wore a choker-style necklace of opals, rubies, sapphires, and seed pearls. 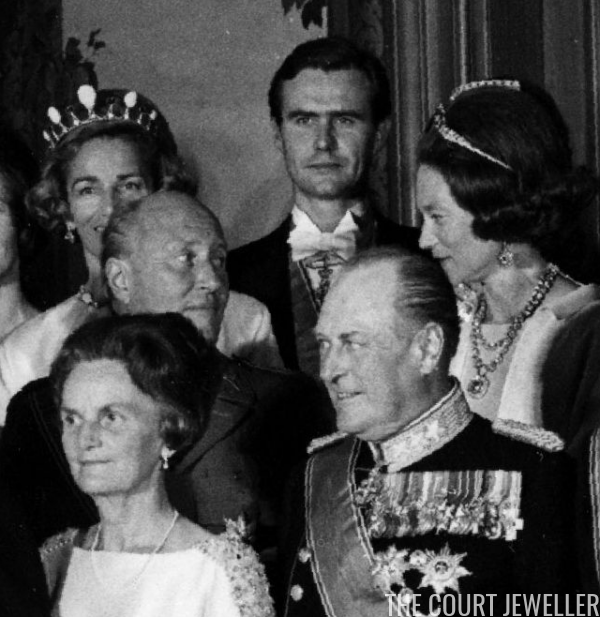 After it left Marie's jewelry box, the opal necklace took a different path than the tiara -- it's now owned by her French relatives. 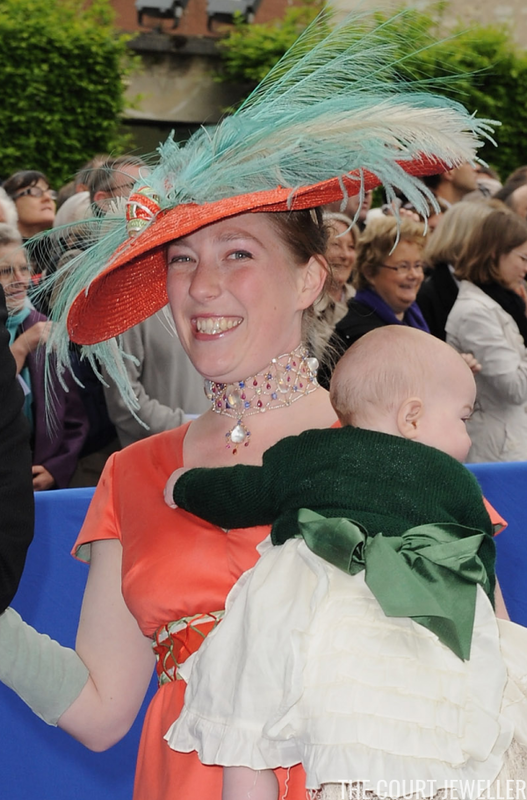 The necklace resides in the jewelry box of her great-niece, Princess Chantal of Orleans. In 2009, she loaned the necklace to her daughter, Kildine, who wore it to the wedding of the Duke and Duchess of Vendome at the Cathedral of Notre Dame in Senlis.